Ready to make the sickest robot on the playing field? Add these tires so robots have a better grip for climbing or taking on uneven or rough surfaces – and get a monster-truck look at the same time! The tire tread has a little squish factor to help it grab surfaces. Includes a nylon rim, foam insert, TETRIX® all-terrain axle hub, TETRIX all-terrain motor shaft hub, and mounting hardware. 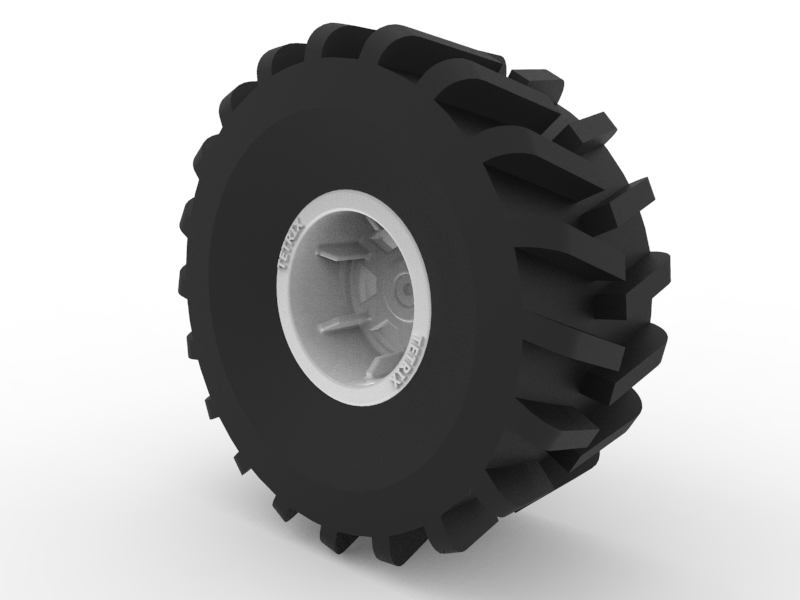 The 3-D CAD (STEP) file for the TETRIX MAX All-Terrain Tire. The 3-D CAD (STEP) file for the TETRIX MAX All-Terrain Tire Screws.